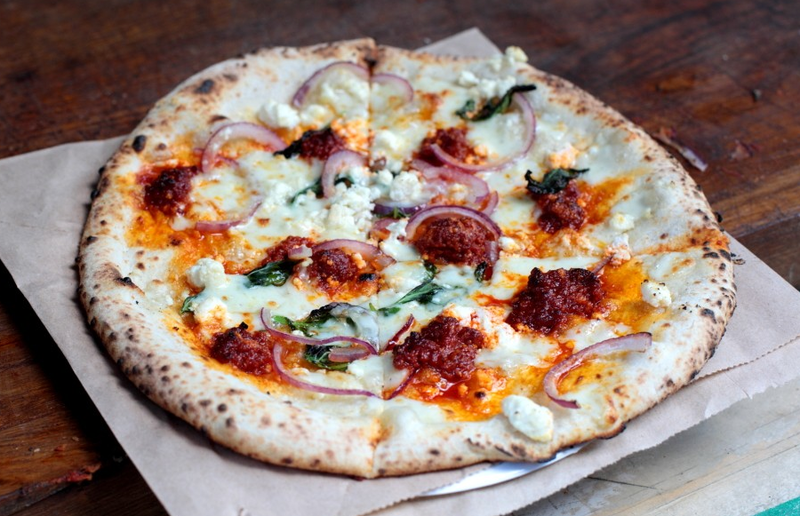 Pizza Pilgrims are expanding, and they’re bringing a surprise to Shoreditch! Fans of the dough dudes will be happy to hear Pizza Pilgrims will open a new brand in Shoreditch this March. Offering their full pizza menu, they’ll also be offering dessert calzones and inviting diners to bring along their favourite chocolate bars to be encased in dough and baked to perfection. YES. We know! And, if that wasn’t good enough news they’ll also be allowing to bring your own booze with no corkage fee for the first month, then £2.50 after. If you’re more into your art you can have a go at making ‘pizza art’ which will be used to decorate the walls of the restaurant. If you’re deemed good enough you’ll be rewarded with free pizza too. Don’t miss the launch of the new Pizza Pilgrims opening in early March at 136 Shoreditch High Street, E1 6JE.